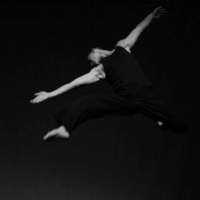 Danny Nguyen graduated from the University of California, Berkeley with a degree in Dance and Performance Studies. He has danced for Katie Faulkner, Sue-Li Jue, and Joe Goode. Outside of dance he has performed colorguard with several drum and bugle corps including the Santa Clara Vanguard and the Cavaliers. In 2011 he was the Dance Choreographer for the Santa Clara Vanguard Drum and Bugle Corps. Danny recently finished his first tour with Blast! where he performed in the United States, South Korea, and Japan. He is currently performing worldwide with BANDALOOP.